Scott Extra Soft Bath Tissue Just $8.99! Down From $16! You are here: Home / Great Deals / Scott Extra Soft Bath Tissue Just $8.99! Down From $16! 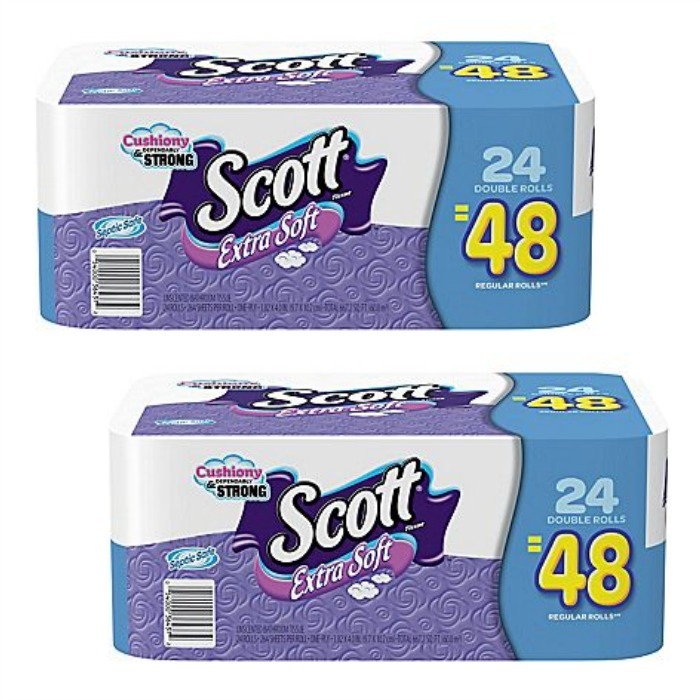 Staples has this Scott Extra Soft Bath Tissue (24 Pack) on sale for $8.99 (Reg. $16)! Plus you can get FREE shipping on orders over $14.99 and 5% back in rewards if you are a Staples Rewards Member! The search for quality, affordable soft toilet paper ends with Scott® Extra Soft Bath Tissue. This bath tissue is not just a long-lasting roll; it’s our softest ever! Discover the unmatched value of Scott® Extra Soft Bath Tissues’ new features AND economical price. Scott® Extra Soft Bath Tissue gives you a sensible combination of comfort and value that you can count on. Scott® Bath Tissue rolls have 4x more sheets* than the leading brand, giving you a soft toilet paper that goes on and on! mical price. Scott® Extra Soft Bath Tissue gives you a sensible combination of comfort and value that you can count on.